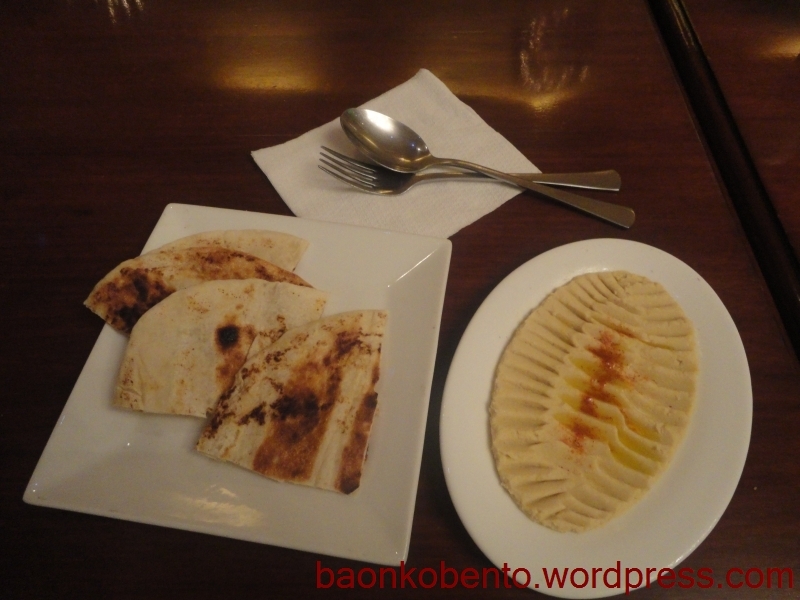 Hummus with Pita Bread (Php100) – Note that wonderful design on the dip. They have three other kinds of dips to go with pita, for the same price. Or you can go with a 4-way platter, for something like Php385, which is good for large family groups. 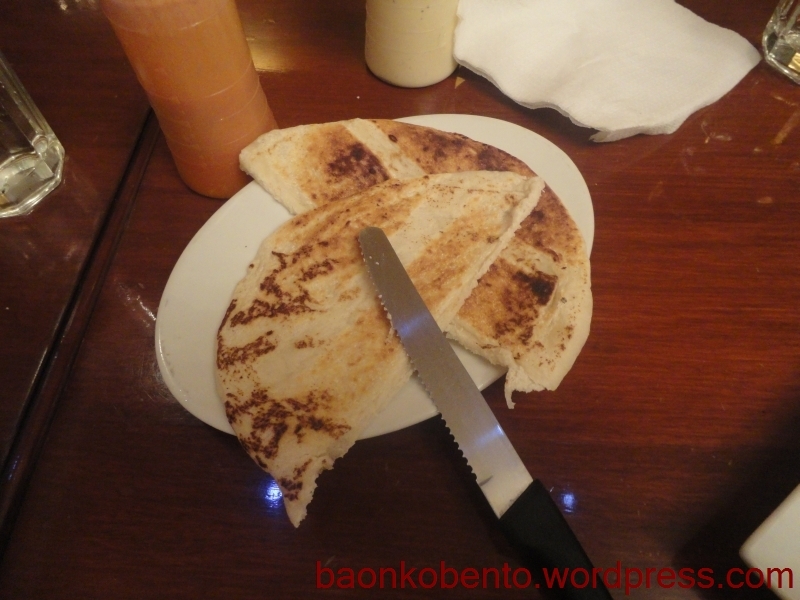 Beef Shawarma (Php70) – Standard shawarma here. Nothing out of the ordinary. 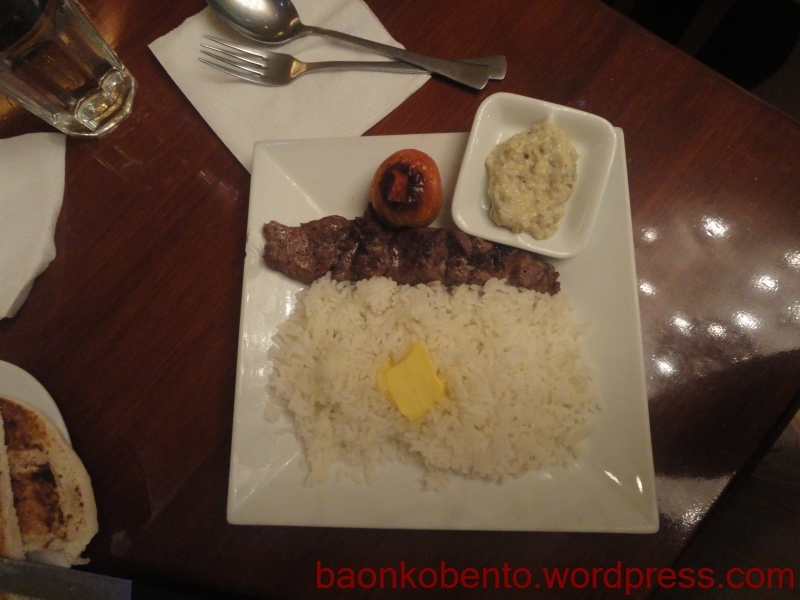 Beef Tenderloin Business Meal (Php135) – I think this is actually the star of the show. The beef is very tender and perfectly cooked. The rice is good as well. It also comes with a small yogurt dip, but nothing to dip in it. It’s a good thing we also got a couple of extra pita bread (Php15 each). I also got a side of roast tomato (4 small pieces for Php45) which I didn’t take a photo anymore because it’s really just roast tomato. We ordered a pitcher of red iced tea (Php165), which sounds a little expensive, but it was delicious and tastes very like Hawaiian Punch. Overall, the food is wonderful. It’s just the kind of Persian cuisine that we have been hunting for, and a lot cheaper compared to places like Arya. There are a lot more expensive items on the menu, but those would probably cater to larger groups. For the usual lunch time meal, the business meals are perfect. The place is not really big; there are probably only around 10 tables and one HUGE couch inside, plus 2 or 3 outside. The service is acceptable. We’re planning to go back to try the other dishes. Summary – Great and relatively inexpensive Persian place, with acceptable service and ambiance. Php470 for a not-so-big meal (probably translates to around P550 for a full meal) for two.